This article by Paul Segar and brought to you by Pureform looks at win, place and each way betting in general and also some approaches notably the Dutch book staking method. Win betting has been and probably will always be the backbone of betting on horse, harness and greyhound racing. Win betting will no doubt remain the major investment area in racing despite many modern and exciting exotic bet types. It's the fundamental approach. Place betting while not as popular as win betting will also remain a fundamental and popular bet type. Win betting is selecting one or more competitors to win a nominated event. Assuming the winner is selected, the return is paid for a $1 dividend. The dividend paid will vary depending on many factors but includes the ‘profit’ along with the $1 basic stake. Place betting is selecting one or more runner to finish either first, second or third in a nominated race (in events with 8 or more runners). The dividend paid on place betting is typically one quarter or less of the corresponding win odds. A simple example will illustrate these points. Good old horse ‘A’ started in a race and was lucky enough to win. The TAB price for this horse was $4.20 for the win and $1.80 for the place. Profit would therefore be $84 - $20 = $64. Dividends return the profit plus the initial stake. Profit is the additional money earned by a successful wager and does not include the bet. Most of these comments are well-known by everyone. Focus on smaller fields where possible. Modern horse racing has generally smaller fields but some capacity events are scheduled occasionally. Trying to pick one horse to win in a field of 17 runners is a tough assignment at any time. Assess all runners before betting. Make sure you have done your 'homework' on all the runners before betting. The winner will quite often 'jump off the page' if studied closely. All races have uncertainty otherwise no racing but some events have greater uncertainty. Clearly first starters cannot be properly rated before a race. Be careful in races with more than 50% first starters. Similarly avoid races on unusual track conditions. Avoid very short priced favourites. Consider your strike rate/profit on turnover considered later in this article. Do not bet simply for the sake of betting. This ties into the next point. Often there is nothing clear as a winning chance. Net result: losses - for no reason. Maintain records of your confidence level. Keep a note of how often you select the winner when confident as opposed to how often you select a winner when unsure. Chances are your opinion has some value so support your top selections and avoid 'non' bets. Multiple win betting, which leads to the Dutch book approach (discussed later) applies in races with a number of clear solid chances. What are clear chances? Strike Rate and Profit on Turnover are two important terms for any punter especially when talking win betting but these terms are crucial factors in most gambling. Your win bet strike rate is the actual win percentage of bets. Your profit (loss) on turnover is the profit or loss made from betting on these selections. Both numbers are important. Most people know that around 30% of favourites win. A strike rate of 40% therefore sounds great but if profit on turnover is negative then this impressive number means very little. Similarly, a strike rate of 5% with 20% profit on turnover probably indicates a small number of long priced winners. Not an easy task to maintain. There were 4 winners out of ten bets giving a strike rate of 40% so slightly better than the long term favourite’s average. But the profit on turnover (POT) was a disappointing -19%. Clearly picking a few short priced winners is not enough - try to focus on slightly longer priced runners. Aim to keep both the strike rate and POT in the positive and modify your approach to accomplish this. 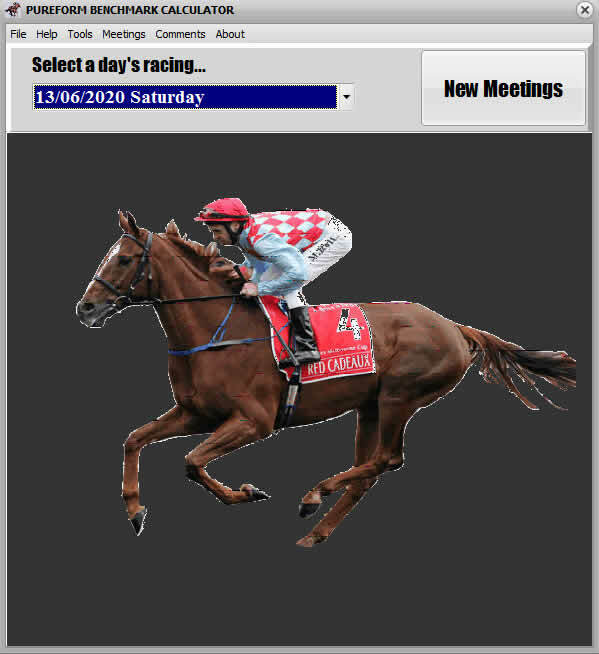 A few ways to assist in this is to record each bet, then calculate the strike rate and POT at the end of each meeting/day. Focussing on clear winning chances will improve both factors (rather than just having a "speckie" or a bet simply to have a bet). It is difficult to do a lot of place betting and make a profit. I think most punters place betting in an eight race card will invariably finish “in the red”. However, place betting is a great way to make some money, shall we call it “wages”, especially when dealing with consistent horses. Some runners in the correct race could only finish unplaced if they fell over. Often the odds are quite attractive. Place betting only applies in races with 5 or more runners. For fields of 5, 6 or 7 runners on the TAB only 2 place dividends are declared. For fields of 8 or more runners, 3 dividends are paid. For TAB betting, if late scratchings reduce a field to less than one of those key figures (less than 8 or less than 5 runners), place dividends will still be paid as if the field still retained the larger number of runners. So if an 8 horse field has a late scratching reducing the field to seven runners, the TAB will still pay 3 dividends even though there are only 7 actual runners. Why place bet in fields of more than 14 runners? There is no 4th place dividend (which is paid in some countries in large fields) and often the odds are no better in larger fields. Generally avoid place betting in capacity fields. When is it best to place bet? There are many situations where a place bet can be taken. One race type consists of the main chance but this chance does not seriously look the winner (perhaps from uncertainty surrounding the other runners). A place bet may be a better and more profitable option. Multiple place betting can be a useful punting approach where typically the two (or more) chances are at longer odds. Support both runners for the place and a profit is achieved if one (or more) runs a place. A great profit can be extracted if both place bets finish in the money. Runners can be supported with level stakes or by the Dutch Book approach (discussed shortly). It is difficult enough to select one placegetter without selecting two. A roving banker trifecta may be more profitable if you can pick two placegetters. Taking two or more longer priced wagers for the place is a solid option. The Dutch book is a tried-and-true method used for many for many years and is basically a reverse bookmaker approach. The aim is to back a number of different runners and no matter which runner wins (or places) the return is basically the same. Use TAB, bookmaker or your own odds for the calculations. The aim is to return the same amount regardless of which competitor is successful. The odds to percentage table (displayed below) outlines various prices and odds converted into percentages. This table is the basis of the Dutch book. Each runner needs to have the percentage amount wagered on it according to its odds converted to percent. A higher percentage requires a greater bet amount and vice versa. 29% of the total amount to collect should be wagered on horse A, 10% on B and 8% on C for a total outlay of 47% of the total return. If one horse wins and pays the above dividend, the return will be about $100, regardless of which horse is successful. Outlay $47, return $100. Profit $100-$47=$53 (approx). The target amount, that is the amount bet to collect ($100 in this example) can be varied up or down accordingly. Do you have to use odds from the TAB or other market makers? No, you can adjust the prices to suit your own punting or simply use any available prices. For example, according to the TAB figures, Horse A is short priced at $3.50. However, this may not be the top pick according to your calculations. Change the market according to your own thinking. Horse A may be at best a $5 chance with Horse B more like a $6 chance and Horse C at $10. The total is still 47% but the prices have been adjusted to your thinking. In this example Horse A is now a “saver”. “Saving” on a runner or series of runners is a great idea, assuming you can select runners better than the market figures. If Horse A wins the total return will only be $70 ($20 at $3.50 which is the actual available price) but as it was no longer the most fancied runner, this is a fair return. Chances are the saver does not win. Horse B's price is actually $10 so the collect with be $170. This is an example of overlay's betting. Saving is one way to punt on a runner when it is not fully expected to win, but is still to be supported, just in case. Generally a not so highly fancied short priced favourite can be saved upon or the out of form long shot could be another saver. Eliminate the favourite totally if it has no chance. Each Way betting is basically placing the same stake on a runner for the win and the place, typically at fixed odds. The advantage of the wager is that a place runner will return some or the entire overall stake. If the horse wins, then profit is made from the win stake as well as the place stake. Place odds when taken with a bookmaker should be calculated at one quarter of the win odds (except in a field of 5 to 7 runners where the odds are supposed to be calculated at one third of the win odds). Win only betting applies in fields of 4 or less runners. Good old horse A back from the earlier wager with a TAB would return the amounts as mentioned. The each way bet returns $36 for a loss of $4. One advantage of an each way bet is the stake is taken for both win and place. Is this a big advantage? Not really. Often, a skewed each way bet is more practical. That is more is wagered for the win or place depending on the race. Clearly when priced at $5 or higher, a placed runner will return at least the complete stake. So there is potential to increase the win or place stake and still make a profit from a placed runner. It all depends on how confident you are in predicting the result. Horse A is priced at $8 the win and $3 the place (on a TAB). A $20 each way bet will return $60 if the horse runs second or third ($3 x $20) for a profit of $20. $15 place horse places returns 15 x 3=$45 (small profit if 2nd or 3rd). An each way bet is a nice easy wager to take, but clearly the skewed each way bet can be a better approach. Each way better should be limited to runners that perform consistently with prices below $10 offering the best price range. Little long term point taking an each way bet on a runner paying less than $3 win odds. Taking a horse each way will return 62.5% (or five eighths) of the win only profit.